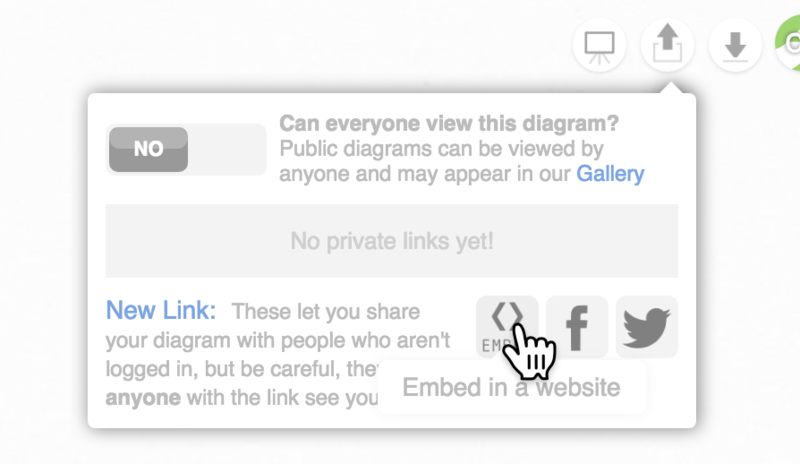 You can share a Coggle diagram with everyone who visits your blog or website by embedding it in the page. 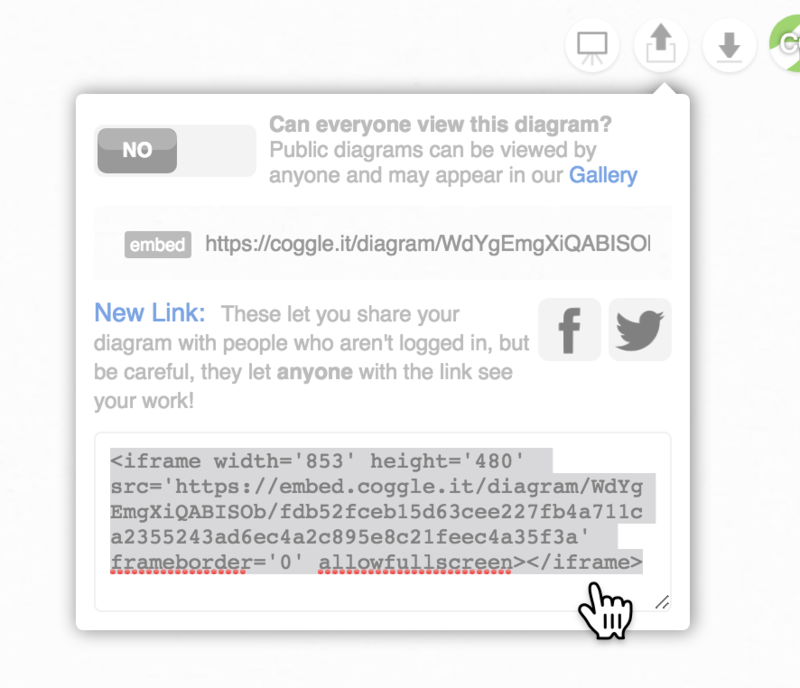 All of your visitors will be able to view it without having to click a link, and unlike using an image of your Coggle, visitors can pan and zoom the embedded Coggle, and (if you allow it) make their own copies to edit. 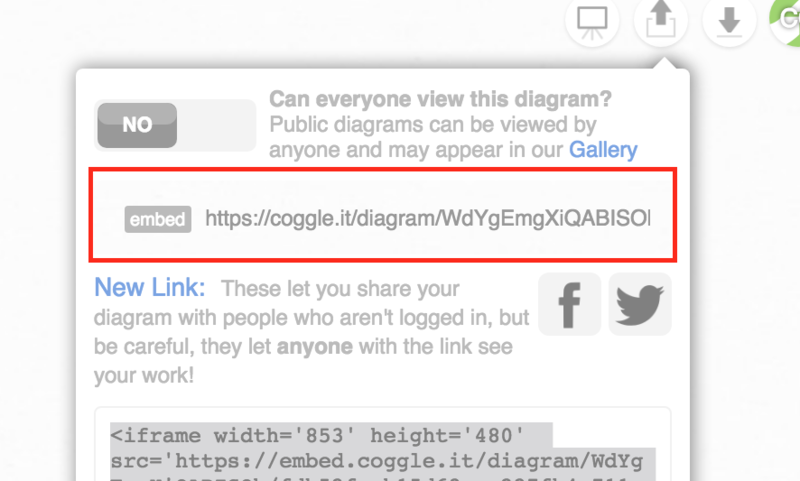 To embed the Coggle, copy and paste the code into the html of your own page. You can change the width and height of the embedded Coggle by editing the width=‘853’, and height='480’ values in the embedding code. Click the trash can icon to delete the link (which will prevent your embedded Coggle from loading). The green duplicate icon allows you to control whether people viewing the embedded Coggle can create their own copies to edit or download. Click it to toggle between copies allowed and disallowed.